We had the best garden ever this summer! Below are some things we brought in for supper. We got more than enough potatoes for all winter. Normally we can't raise beans because of frost we get in the summer, but this year we got lots of string beans and put them up. In my hand is fresh mint and thyme. Mom always put thyme in her vegetable soup, so we have to raise some for that. We ended up with a beautiful crop of carrots which we cook, then freeze to make pies. You can't tell the difference from pumpkin pies if you use the same receipe with the carrots. Our cool climate makes for wonderful root crops and greens. We have to make the best of it because we can't raise tomatoes, corn, squash & anything that can't handle a little frost. 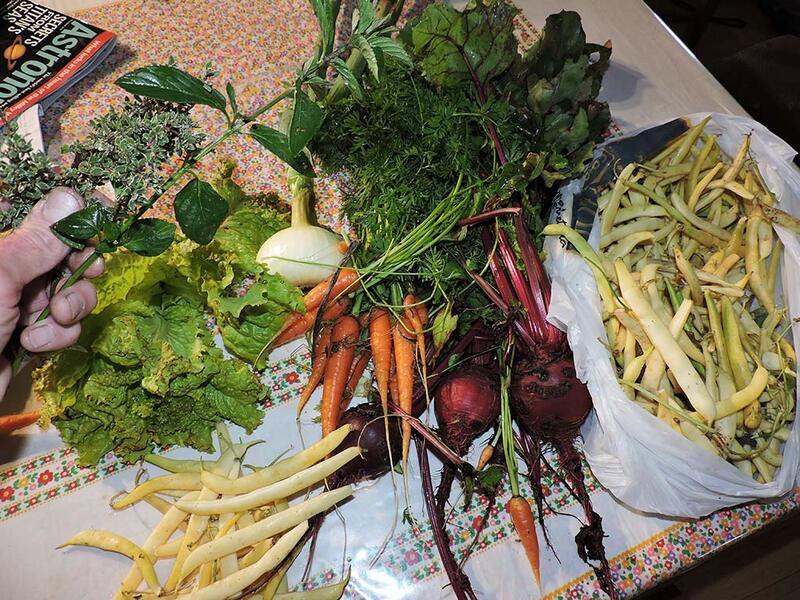 But those cold nights make amazing root crops & greens. 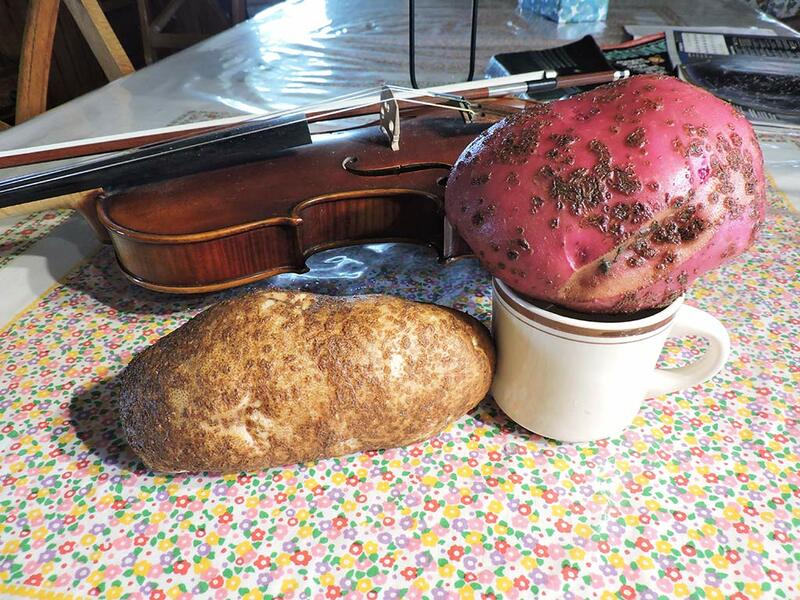 Our potatoes are always have some scabbing, but it doesn't affect them inside at all...they are wonderful! Just before the weather turned cold, we had these fellows come out for a work day from the Crossroads Church in Red Deer. I had rented the Skid Steer to drill post holes and we spent the day putting in fence posts. The next day, while the skid steer was parked there where it is now, the front door which is all glass somehow got broke and it disapeared into a million tiny glass cubes. I had to pay to have a new door put on it. 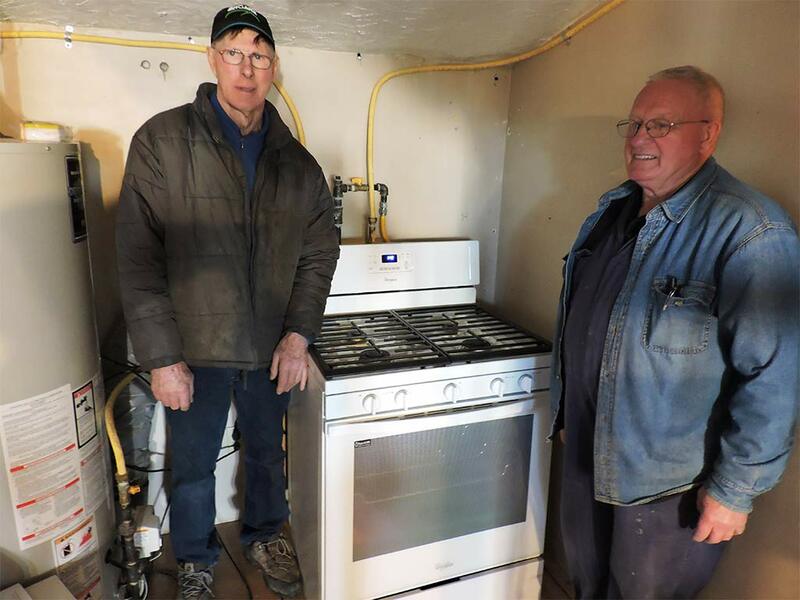 These two fellows came out from Rocky to install a new gas stove for the workers that stay in the apartment in the mission building. John is a retired gas fitter and Bob is assisting him. John actually had a heart attack a few years ago when he was doing some plumbing for us in the house. He had to have a heart bypass operation and is recovered fine now. In order to get a wider perspective of the mission influence I'll try to add some variety here. 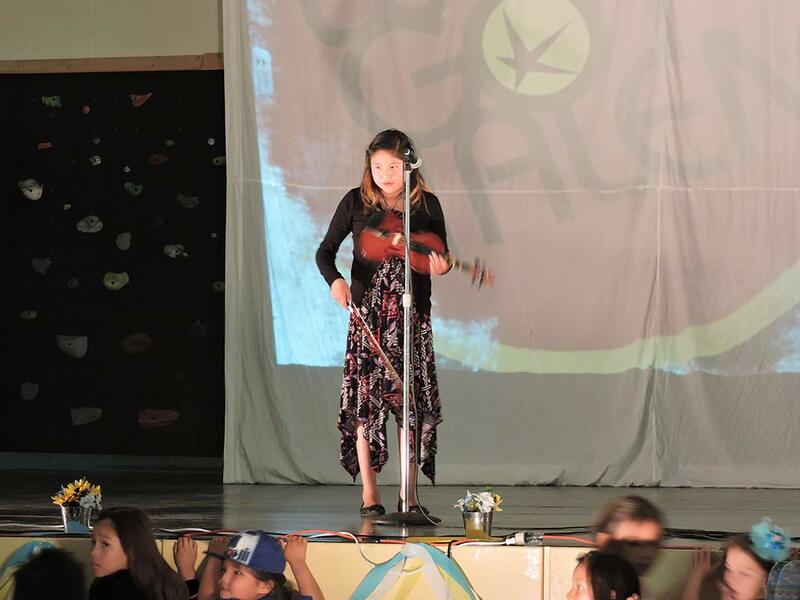 Below is one of our violin students at a performance in the Sunchild school. We are thrilled to have the John Cockman family from North Carolina coming in the spring to teach a violin camp here for our kids. John is excited to be coming. It promises to be a really special event for us. You are invited to come and help out...especially if you have some music to share. We are always begging for volunteers to come and work with our students. It takes more of a talent to connect with the kids than any special music skills. They learn very easily, but are a challenge to motivate. We seriously need a playground. The German church from up north has donated funds to buy a lot of materials, but we still haven't been able to get workers to build it. Every day we have a crowd of kids just playing on boards, or that old floor. They had a rope hanging on a tree and they would swing around the tree until they wore out the tree! So we tied another rope on another tree, and it has been used literally hundreds of hours. 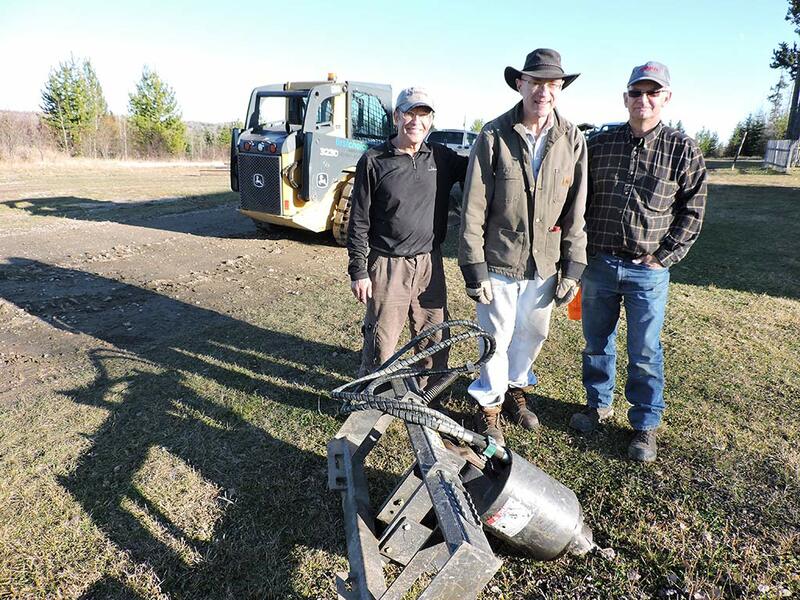 Keith was in our last newsletter, but it's always exciting to have him drop in on our airstrip. 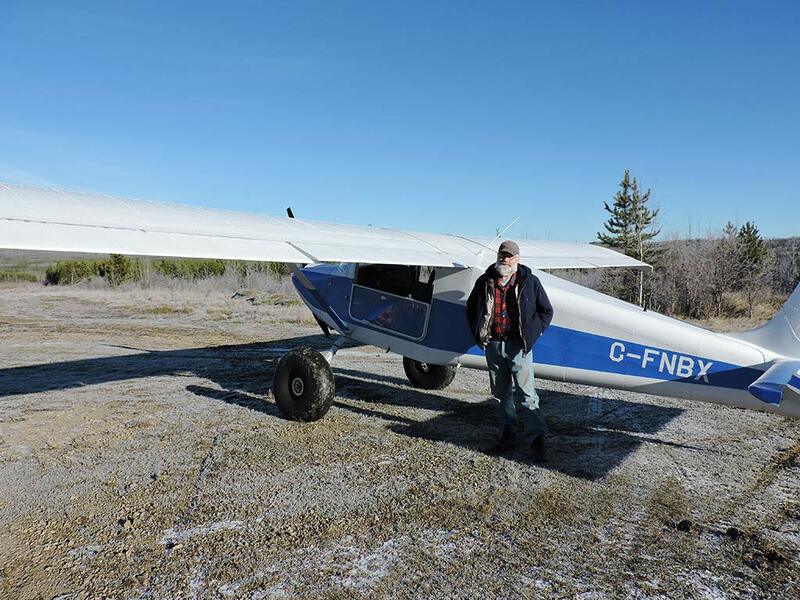 Keith built his airplane from a kit, and it is designed and especially configured for operating in the 'bush'. We have the materials to build a similar airplane and I'm working on the airframe now. this is right in front of our house. This is the 182 we have in the shop in Red Deer getting it's engine completely rebuilt. 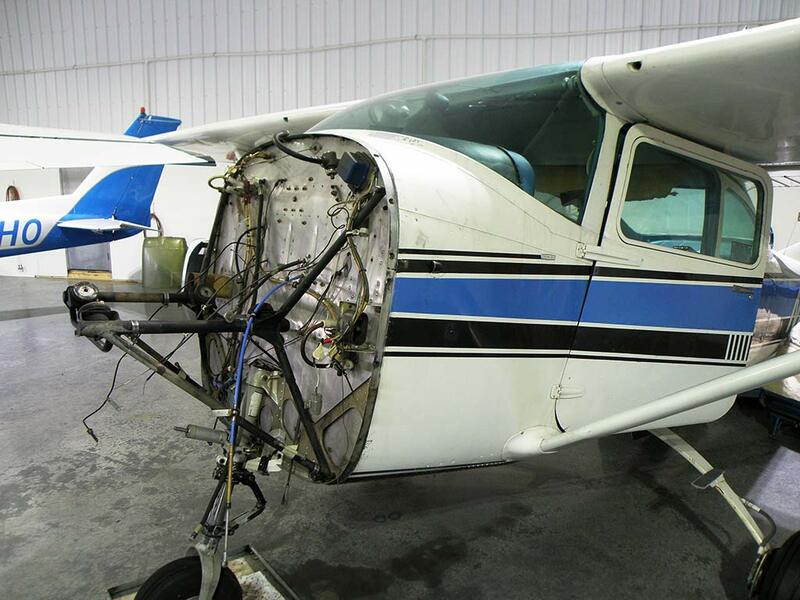 We are still raising funds to get this back in the air to use in our northern outreach. We can keep it here at the mission when it's finished because of the hanger the Greencastle, Pennsylvania church built for us. 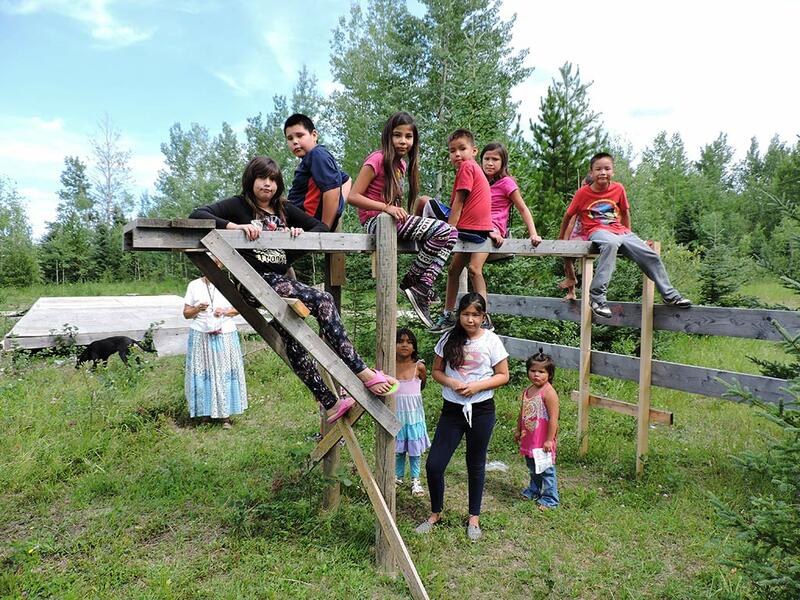 We'd be more than happy to hear from you..our phone # is 403-989-3715 here at the mission and our email is rinker@arcticoutreach.org But whatever you do please remember to pray for the mission here. Remember our plea for help over the Christmas holidays, especially the period from just after Christmas over New Years until school starts. Sometimes it really gets out of control and there is much suffering. Remember we are here, and the only Gospel influence as there are no other Christian churches or ministry here. Nov 2015 Newsletter Page 1...Please click on this link to return to page one.